For this month’s Time Waster of the Month I’ve picked another endless runner type game. 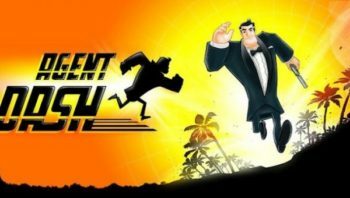 Agent Dash follows in the footsteps of Temple Run and Subway Runners. But before you start rolling your eyes at another endless runner, give it a chance. I’m pretty sure you’ll be pleasantly surprised. Full Fat has taken the winning formula from the two games I mentioned previously, and improved upon them, if that’s even possible. The graphics in Agent Dash are beefed up and so is the challenge. While this is an endless runner, you’ll be hard pressed – at least at the start – to get any long runs. It has to do mainly with the graphics and the camera angle. Before we get to the video review, in Agent Dash you are special agent with the task of defeating as many villainous bases as possible. Enough reading, here’s my video review of Agent Dash…. As I mentioned, the graphics are really nice and detailed. So much so it can distract you from the gameplay directly or indirectly as the pace picks up. Because of the detail it’s sometimes hard to pick up the traps and obstacles and even tough to judge how close or far away they are. The other subtle change is the camera angle. It’s a tad lower, again making it tough to judge the obstacles and traps. These changes are all done on purpose to make Agent Dash a lot more difficult than other endless runner games. After several days of play, I can honestly say I’m no where near as good as I was with Temple Run and Subway Surfers at the same time. To date I’ve only made it through the fist base once. Agent Dash is free, but like most other free games, you can spend real money to get you through the game faster. This game is well worth the download just to see how you stack up.